Margaret Cho's "Hey Big Dog" video in which she's wearing an elyse oRiGiNaLs Dress. 11/17/2011: elyse oRiGiNaLs is announced as San Diego Fashion Designer of the Year! 10/16/2011: elyse oRiGiNaLs is selected by nationwide vote to be a semi-finalist for Raw's Fashion Designer of the Year! Prizes include several magazine interviews, offer of consignment at Fred Segal Boutique-Hollywood, consultation with Chloe Dao, winner of season 6 of "Project Runway", and so much more. More details to come. 8/3/2011: elyse SIGNATURES featured in a wedding email sent out to Etsy suscribers. 7/28/2011: elyse oRiGiNaLs will now be selling on DaWanda, Products With Love. 6/2/2011: elyse SIGNATURES featured in a fashion email sent out to Etsy subscribers. 5/1/2011: CONGRATULATIONS TO SHANA C. OF MD! SHE'S THE WINNER of the elyse SIGNATURES dress for April's Raffle! Thanks to everyone who participated! Stay tuned for the big raffle in August for Customer Appreciation Month. Winners will receive a free custom skirt, gift certificates and more! 1/20/2011: Chosen by "Raw Homegrown Artists" to be a charter member in San Diego & is featured on Raw's website. 2/20/2011: Comedian & Musician Margaret Cho Wears elyse oRiGiNaLs dress in her new music video. 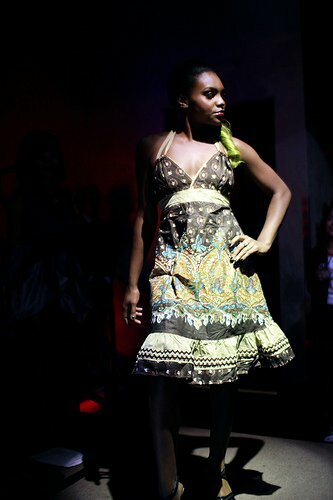 8/26/2010: Showcased in a Fashion Show at "On Broadway" night club in downtown San Diego. 2/14/2010: Featured on sandiego.com in "Find Homegrown Fashion At The Local Boutique."